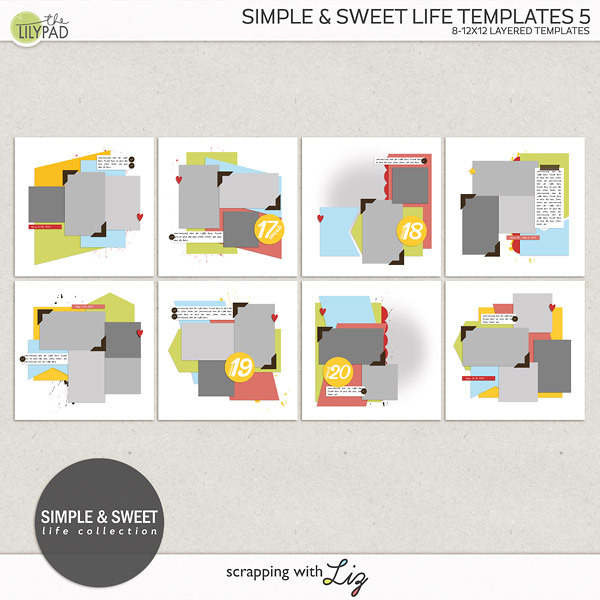 Scrapping with Liz: Ever Been Stumped? Hello there, scrappers! Hoping you are having a good start to your March! I can't believe it's March already. This is Jenn, aka jk703, around digiland. Today, we are going to talk about scrapping when you are stumped. I've scrapped oodles and oodles of layouts, and there are times when a page comes super easy, while another might take me so so long to complete! I can't predict when my scrapping struggles will hit or specifically say why they hit. Sometimes, it might be a kit, a template, the photos, or even the story I'm trying to tell. Either way, I just know that I'm stumped. I'd like to share some ideas to get you out of your creative scrapping stump! 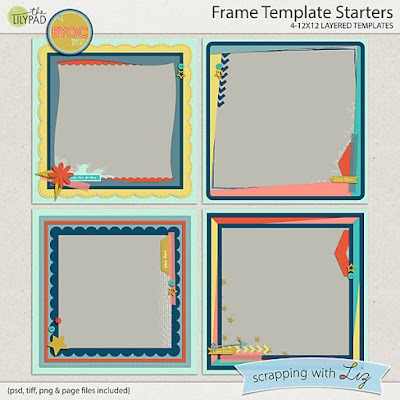 First, Liz has these awesome templates, Frame Starter Templates, that released for March BYOC. Lots of fun paper layers and shapes. With them, I was scrapping with Pink Reptile Designs Exercise and Energize Elements, Alphabet and Papers. As I was scrapping, I realized that no matter what I put on the page, no matter how many times the papers or elements were changed, it just wasn't coming together as I liked. I tried deleting layers, shapes, and other various things. It wasn't working. It wasn't the kit, it wasn't the template, it was me. I was stuck. Now what? I decided to go wander in the TLP Gallery, leave a little love, chat in the forums a bit, and looked at my layout again. No real change for me, though in the past, looking at layouts will jump start my creativity. So, I decided to put my layout on the back burner. I ended up reading a little of The Lake House, a book for the month of March in TLP's Reading Pad and then going to bed. 1. Change your work setting or location. 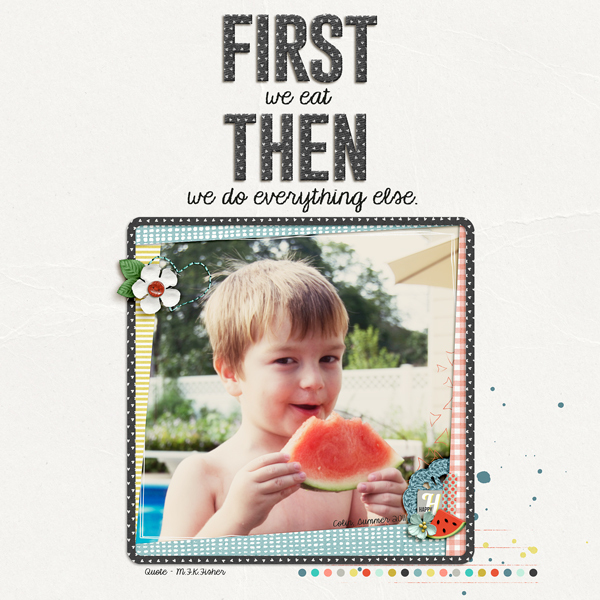 Work in another area, change out some pictures if you are confined to one room. Clean up your work space. Add a candle. Maybe have some noise, or no noise - opposite what you usually have when scrapping. 2. Check out the galleries, Pinterest and other locations where you usually find inspiration. Also, check out your older layouts, and see how far your scrapping has gone. Looking at where you started versus where you are now, is a major confidence booster, and you can inspire yourself! 3. Scrap Differently. If you usually start with the photo, try that last. Challenge yourself to only use pattern papers, or NO pattern papers if you love them. 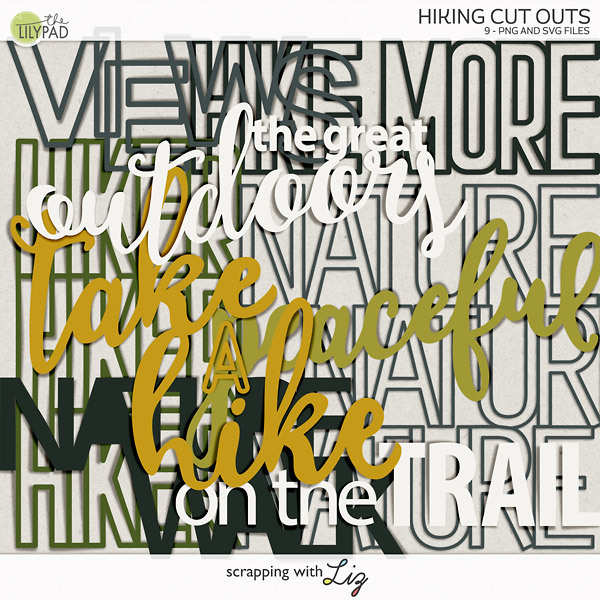 Mixing up how you scrap might lead to a better scrapping experience. If you can, take a peek at the monthly challenges at TLP, they could very well get your scrapping mojo going! A little friendly competition can get you going too! Challenge a friend to scrap too! 4. Have a glass of water and a snack. Sometimes, we just need a little pick me up. A snack might get those creative juices flowing. Maybe a piece of juicy watermelon, lol! 5. Move. Have a dance party in your chair. Get up, take a walk, jumping jacks, move! LOL! It will get your energy flowing, and you might surprise yourself and have energy and IDEAS for your scrapping! I'm sure as scrappers, we have all have creative standstills, but I hope these ideas will help you out the next time one decides to visit you! Thanks for all of the suggestions for getting "unstumped!" I love the results you got with resizing the template - makes me glad I bought this set - even more versatile!